You’ve probably envisioned this nightmare many times: It’s a cold winter day and you’re freezing your hands off. You are bundled up in three layers of clothes and struggle to make it to your front door, your car, or your office. You’re simply desperate to get out of the cold and into the heat, so you reach for your keys and lunge toward the door. But just as you get your keys out of your pocket, you realize something: the key you need is broken or terribly damaged! It could be a traditional key or a key fob, but either way, you are so cold that you’re losing the feeling in your hands and feet, and you now have no way to get out of the elements that are making your teeth chatter. 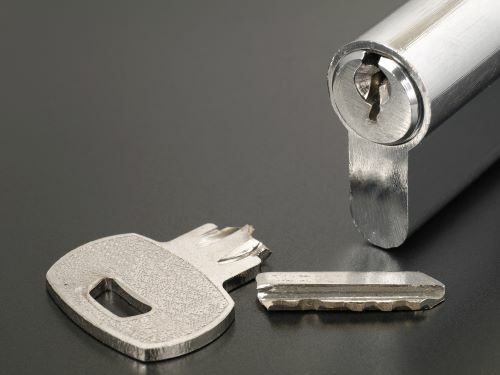 If you are in the Vancouver, WA, area or the Portland metro area, the answer is Harry’s Locksmith, since we’ve been top experts in the area since 1949, and our range of experience and specialties is substantial. But what if you don’t live near Vancouver, WA? There are a variety of problems that could cause your key issues, and you need to know what to look for in determining which locksmith near you has the skills and experience to fix your issue before you decide who to call for help. Here are some of the common problems you might encounter. These are some of the potential broken key problems that will likely require repair. Know that while these problems may frustrate you or leave you temporarily out in the cold, a good locksmith company should be able to fix the issue. Your key fob is destroyed or otherwise mangled. The transponder chip in your key is destroyed or otherwise mangled. Your key has snapped off or is broken. Your key fob has been damaged or destroyed. Your key is completely worn out. Your key is stuck inside a lock or automobile ignition and cannot be turned or retrieved. Your key has stopped opening a lock. Your electronic key has dead batteries or damaged buttons. If your key is merely worn out, a good locksmith should be able to take care of the issue by re-cutting the key back to its original dimensions. This should be a quick repair. If your key has snapped or is horrifically damaged, this will also be a quick fix if the locksmith has the necessary part in stock. Otherwise, unfortunately, you may have to wait a while to get the key fixed. In this particular instance, it will likely result in the key being re-cut or re-made. If the key is stuck in a lock, then it must be extracted before anything else. If it’s a building door lock, it should be just a matter of extracting the key. But if the key is stuck in a car ignition and will not turn, you’ll need to find out if the issue is with the key or the car’s ignition. The good news is that a locksmith company that knows what it’s doing should be able to determine whether the problem is due to the key or the ignition fairly easily. These electronic keys will need to be repaired or replaced, and probably right away because it may be virtually impossible for you to operate your car or enter your home or office without your keyless entry fob. And while it’s not generally a complicated process, it can take some time, since, often, broken or damaged key fobs will also need to be reprogrammed. Which means it will also require the services of a locksmith specializing in key programming. Remote key fobs may be used for any of the following: home and business doors, vans, motorcycles, motorbikes, motor scooters, caravans, trucks, boats, and mopeds. If something has damaged the key or fob but the transponder chip is still intact, the chip should be able to be reused in a new key. As with remote key fobs, you’ll want to contact a locksmith right away because it may be nearly impossible to enter a building or start your motor vehicle without a working transponder key. And if you’re dealing with a situation that will require reprogramming, it is, unfortunately, going to take a fair amount of time to get fixed. Keep in mind that, once again, you’ll want to search out the services of a locksmith that understands the complicated ins and outs of transponder keys and programming and that can do the work right. This isn’t the time to go with a less experienced service provider that “thinks” it can complete the repair. You need a specialized locksmith for key cutting, but you need an even more specialized locksmith for remote key fobs and transponder keys. You likely use both in your daily life, so you should give strong consideration to a locksmith company that has staff who specialize in both. Whether you’re locked out on a cold day or stranded with a car you can’t start, we know you’ll want to get the repair made as soon as possible. Instead of waiting for a problem to arise, search “key repair near me” now. Having a locksmith company you already trust and can rely on for any type of key repair should speed the repair process up because you can avoid taking extra time looking for somebody who specializes in your particular immediate need or emergency.